benne dosa recipe | davanagere benne dose | butter dosa recipe with detailed photo and video recipe. 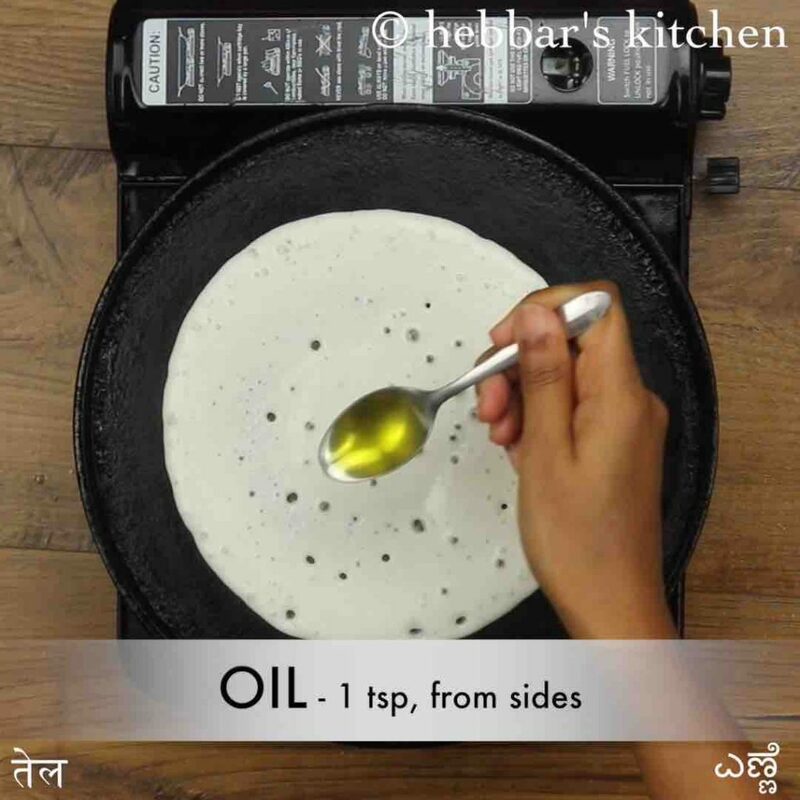 a unique way of preparing the traditional dosa recipe, originated from davanagere, karnataka. 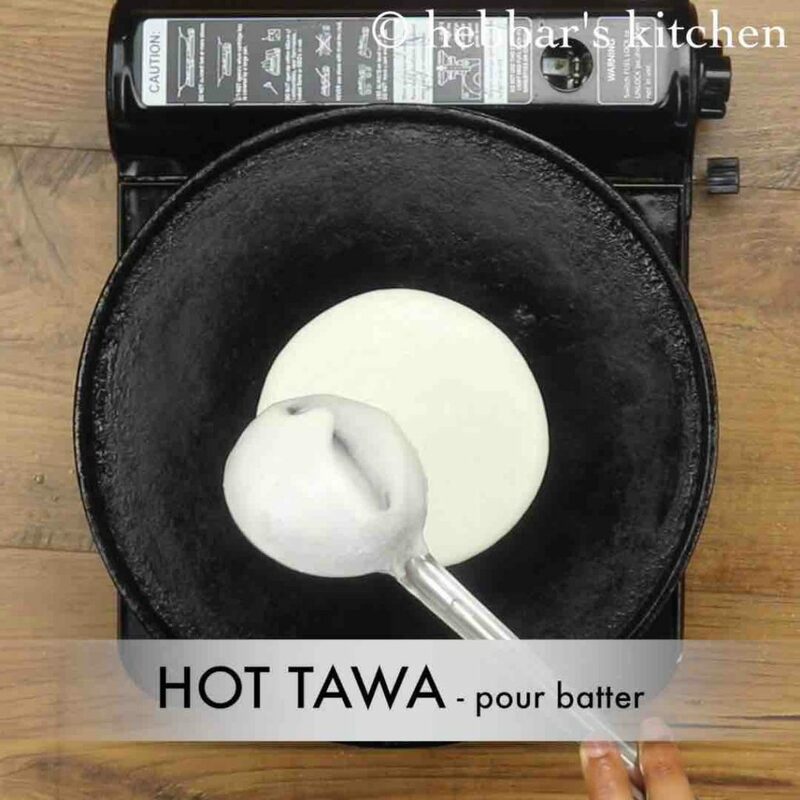 the dosa batter is unique and is prepared with rice, urad dal and puffed rice for the extra softness. 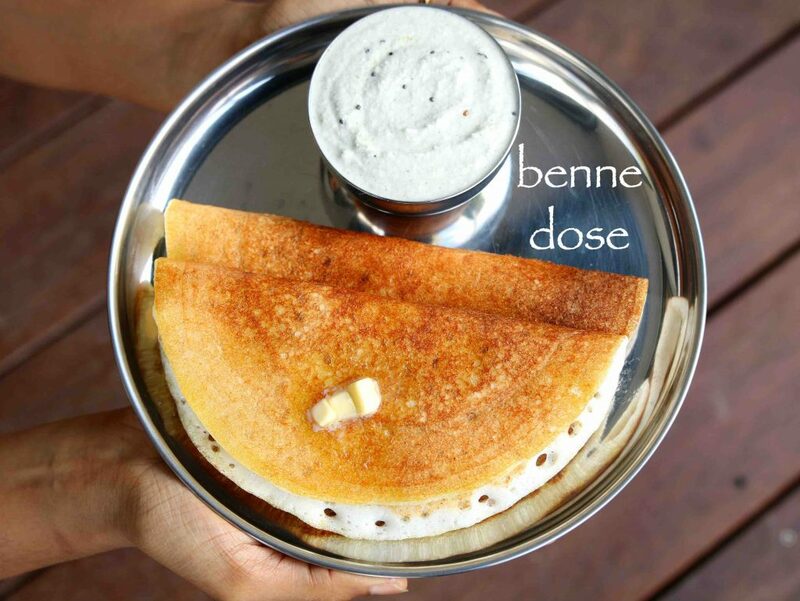 moreover, the dosa is topped with generous amount freshly prepared butter/benne and served with a spiced potato dish. benne dosa recipe | davanagere benne dose | butter dosa recipe with step by step photo and video recipe. there are several dosa varieties from the south indian cuisine palette including the thin crisp and thick soft dosa’s. davanagere benne dose is one such variety with thick base and soft texture and topped with butter and oil. 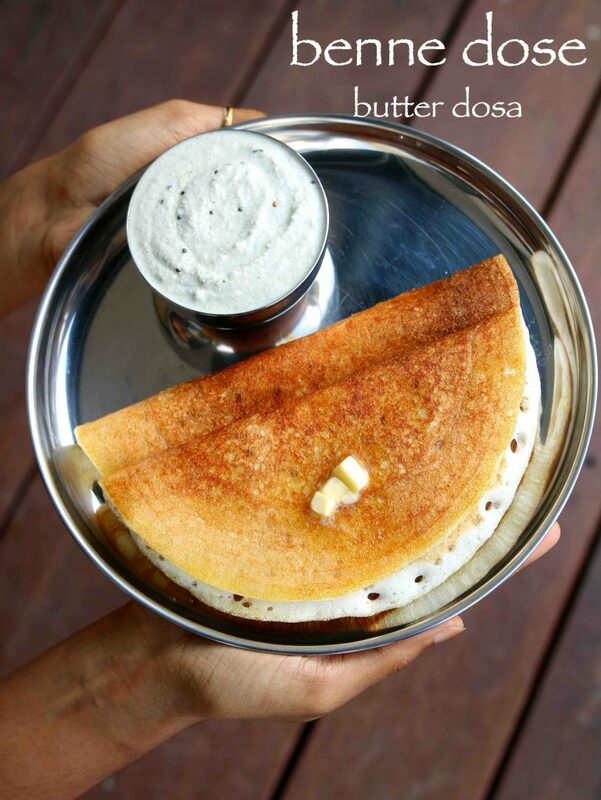 topping the dosa with butter is very unique and hence the name benne dosa or butter dosa recipe. traditionally the normal dosa batter mainly made from of 3:1 rice to urad dal ingredients. 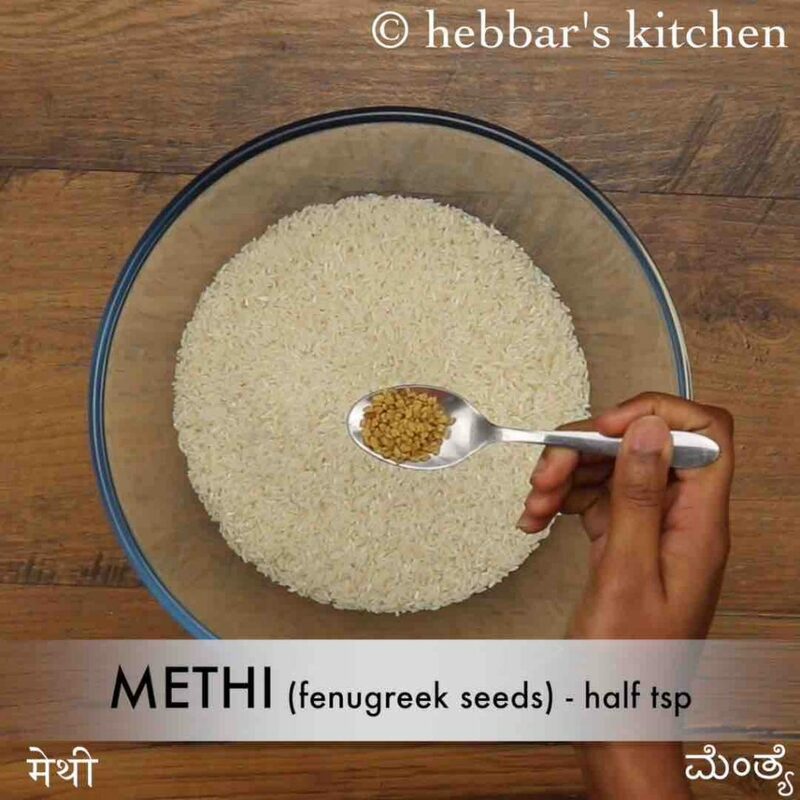 optionally it may contain fenugreek seeds for the colour and extra flavour from it. 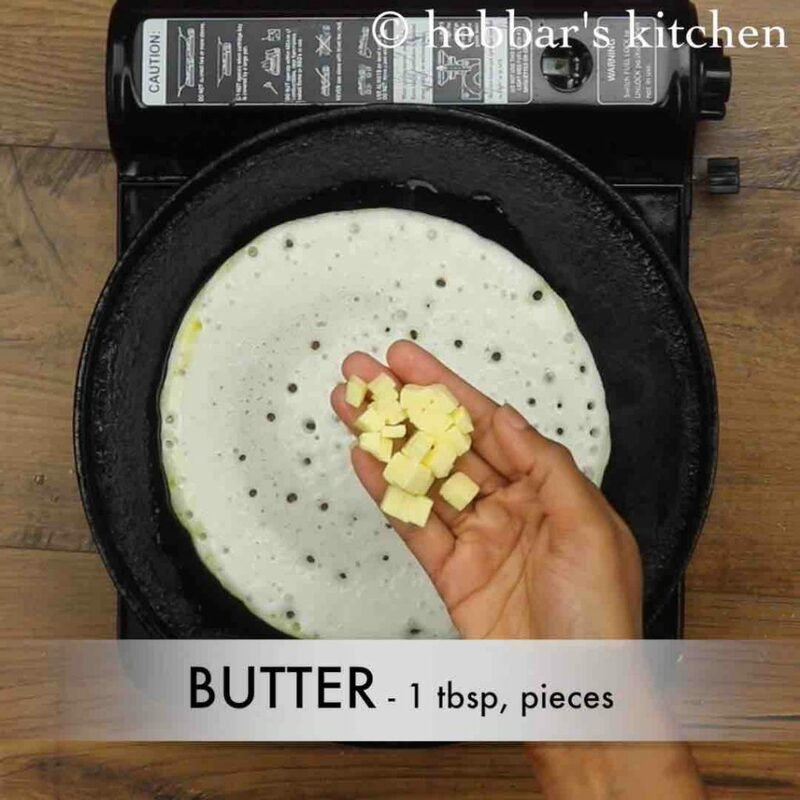 however the dosa batter for butter dosa is unique with extra puffed rice added to it for the extra softness. 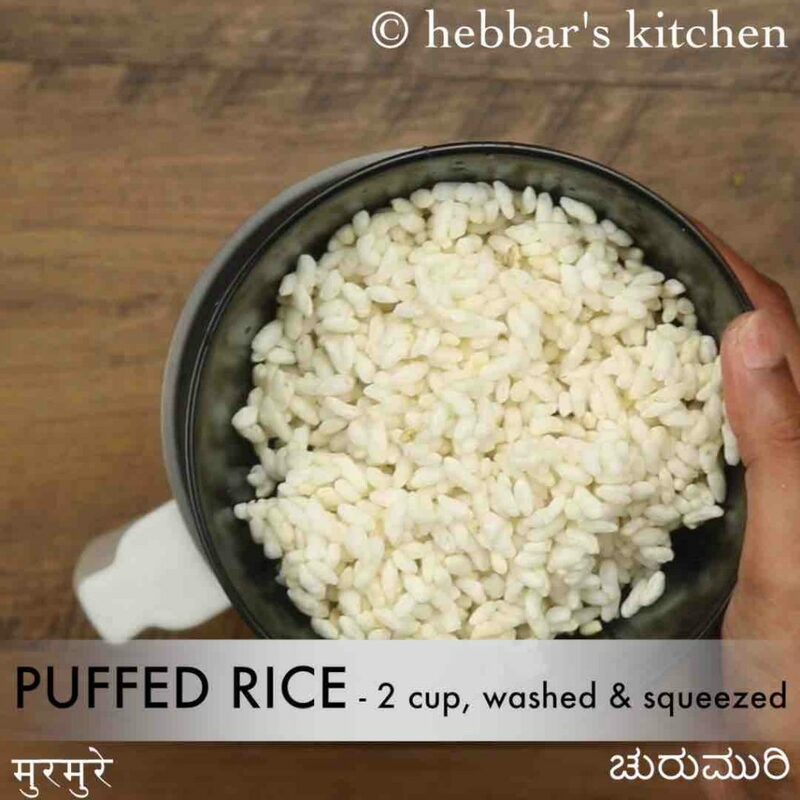 so roughly the ratio to be followed in this recipe is 3:2:1 for rice, puffed rice and urad dal. having said that puffed rice is not a mandatory and you can fall back to the traditional dosa batter recipe. 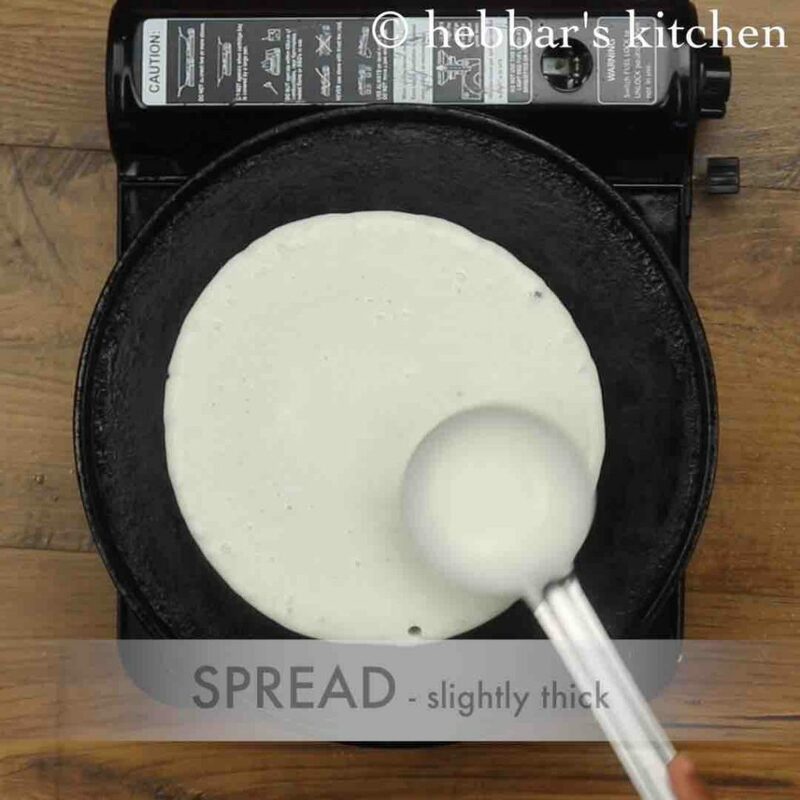 the key thing with both the batter recipe is the fermentation and properly fermented batter with freshly prepared butter should yield high-class dosa’s. furthermore some important tips, suggestions and serving ideas for a perfect davanagere benne dosa recipe. 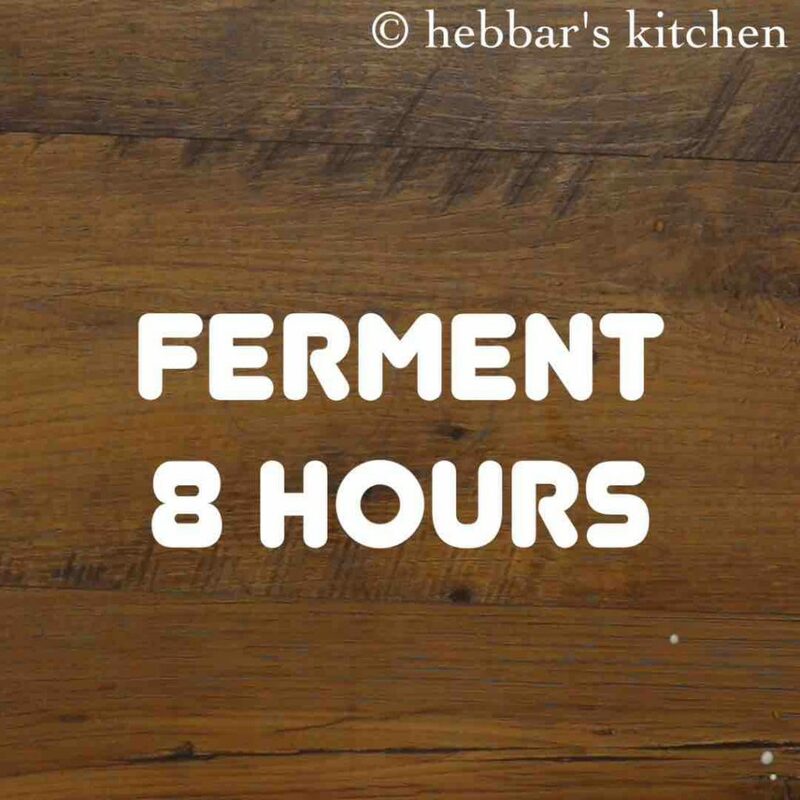 firstly, and more importantly, the dosa batter has to be fermented well for this recipe. typically the restaurants who serve these butter dosa, add a pinch of baking soda to the fermented batter for the extra softness. however, it is completely optional and i have skipped in this recipe. 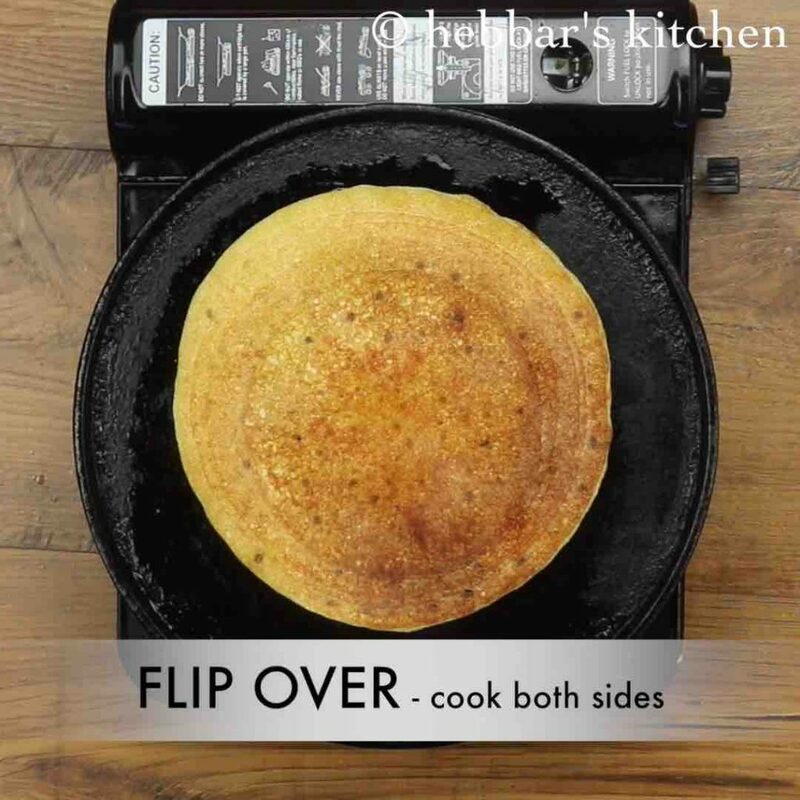 secondly, adjust the thickness of the dosa as required and flip it if the top of dosa is uncooked. note that benne dose is always prepared with a thick texture. lastly, these dosa are typically served with spicy potato masala and spicy chutney. but it equally tastes great when served with any choice of chutney. 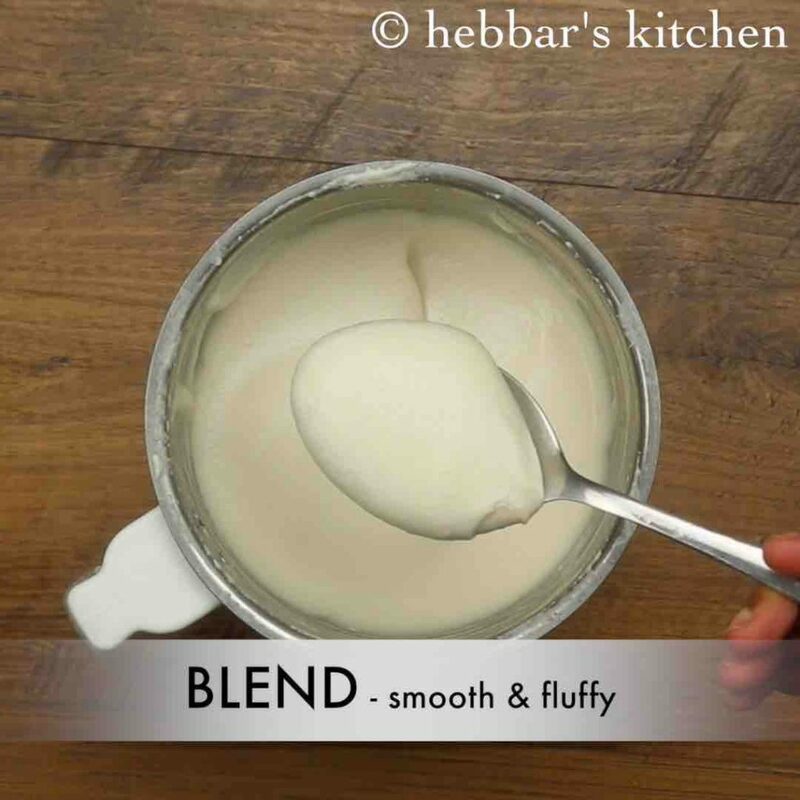 firstly in a blender blend 1 cup soaked urad dal to smooth paste adding water as required. 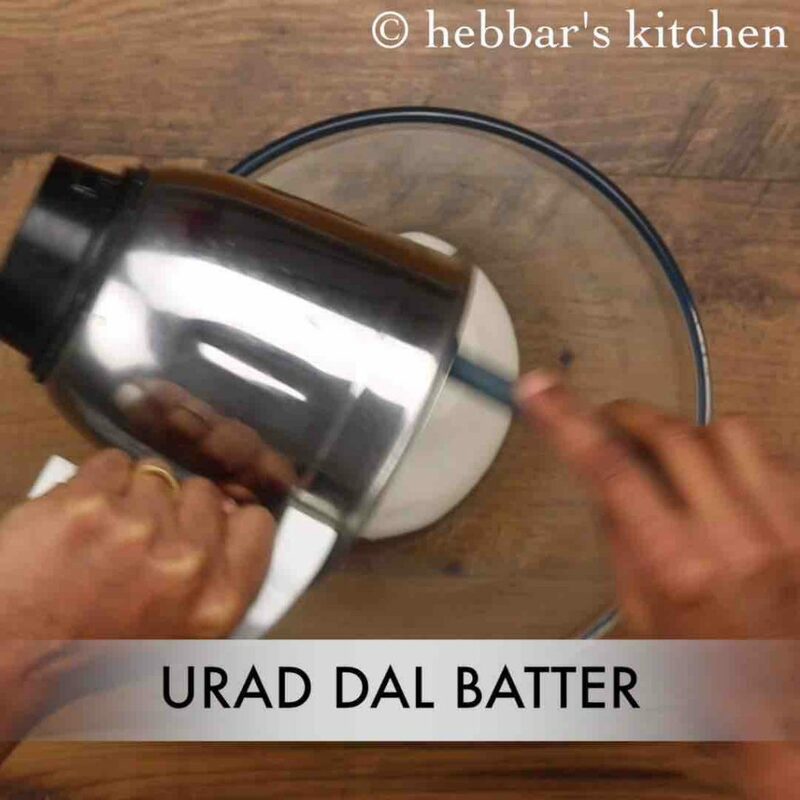 transfer the smooth and fluffy batter of urad dal into a large bowl. 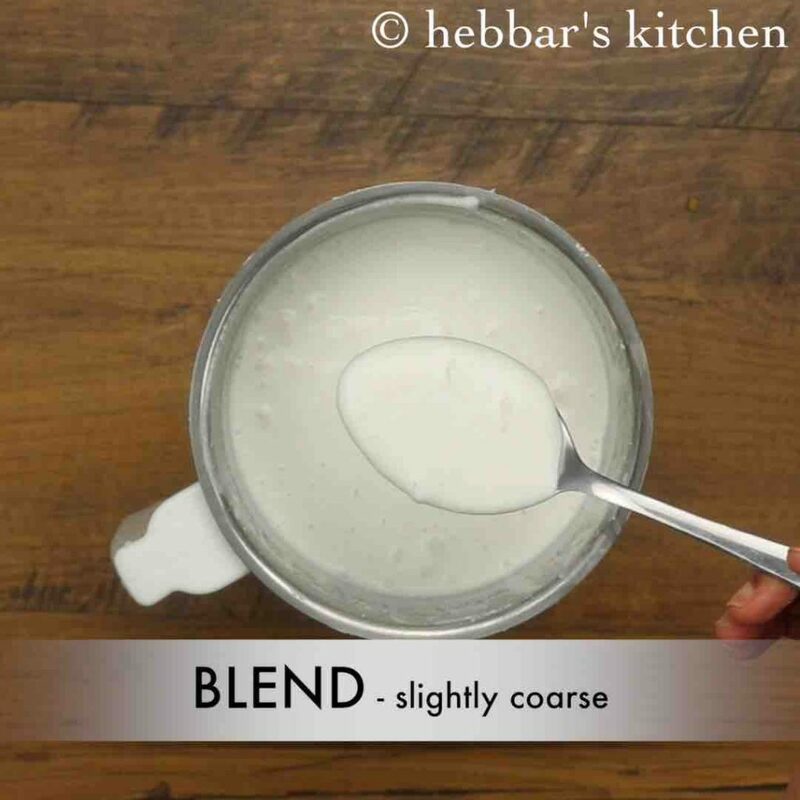 in the blender blend 3 cup dosa rice, ½ tsp methi to slightly coarse paste adding water as required. 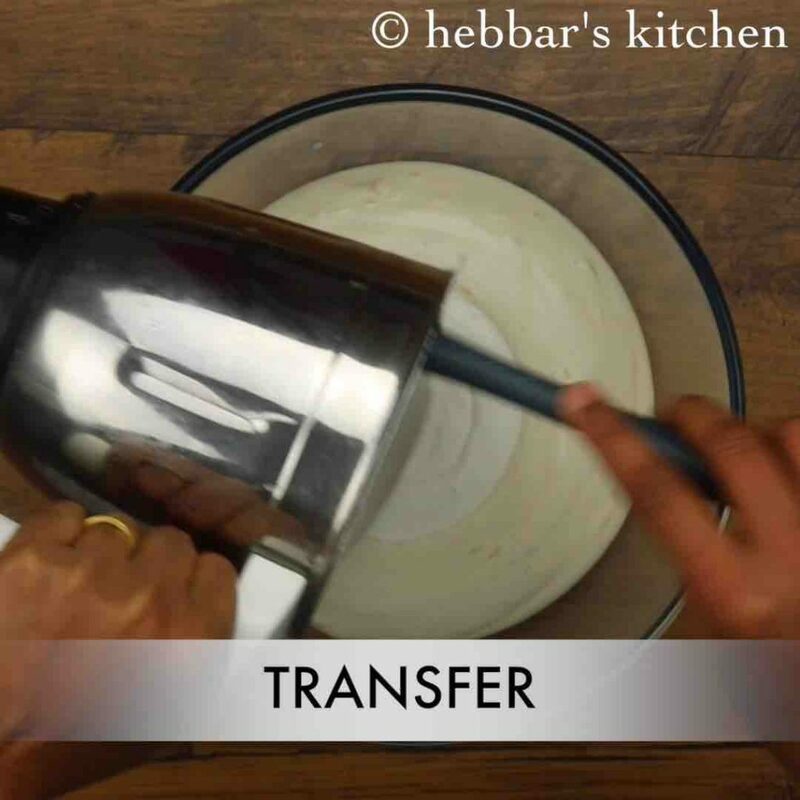 transfer the rice batter to the bowl of urad dal batter. now take 2 cups washed & squeezed puffed rice in a blender. 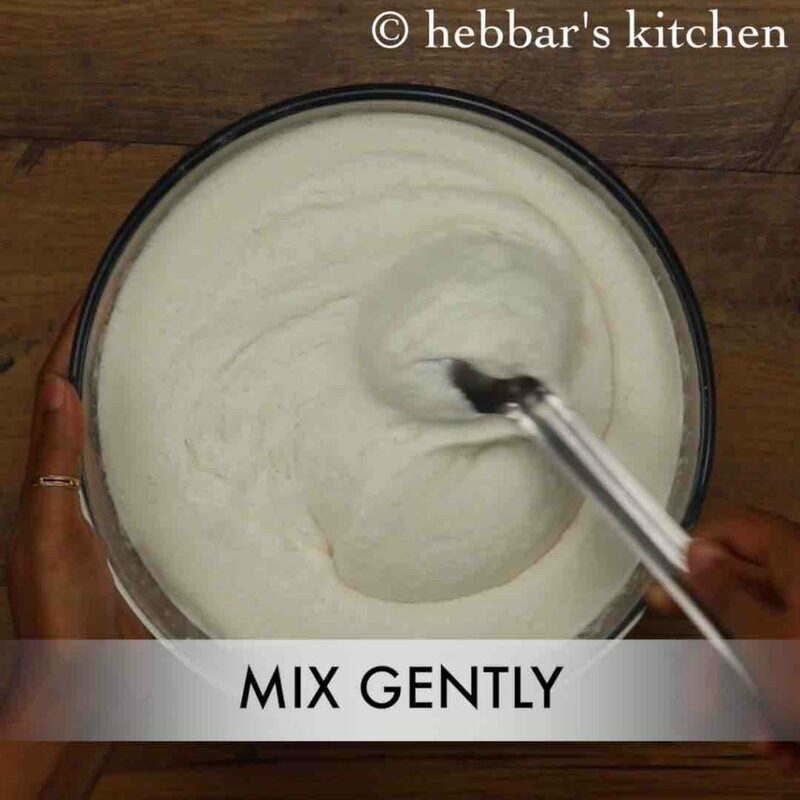 add 1½ tsp salt to the batter and mix well. now add 1 tbsp of butter spreading all the sides of dosa. roast the dosa to a golden brown on both sides. finally, fold the benne dose / butter dosa into half and serve with chutney and aloo bhaji topped with more butter. 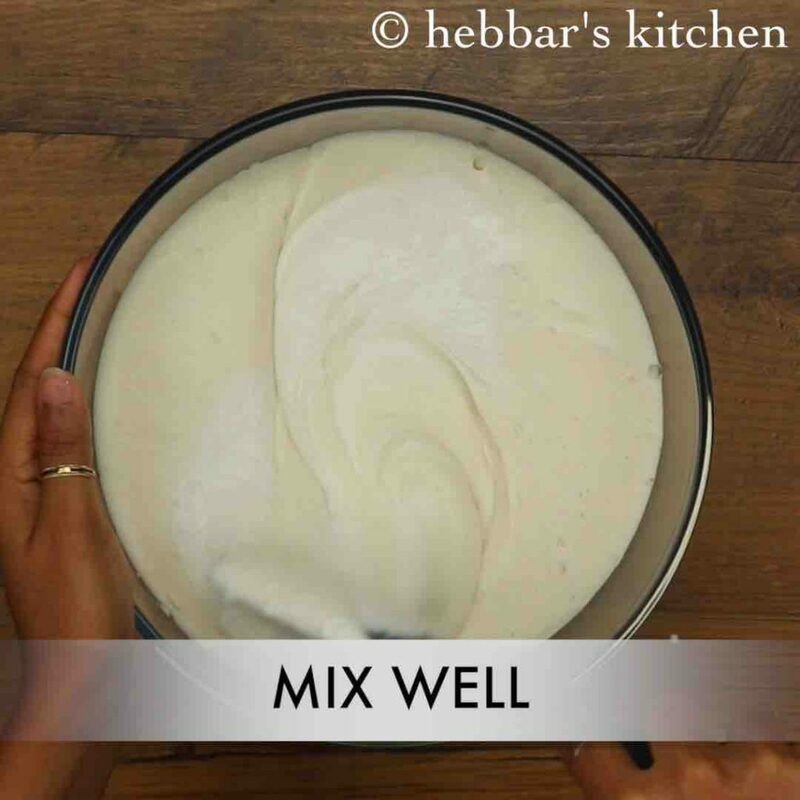 firstly, in a large mixing bowl soak 3 cup dosa rice and ½ tsp methi for 5 hours. 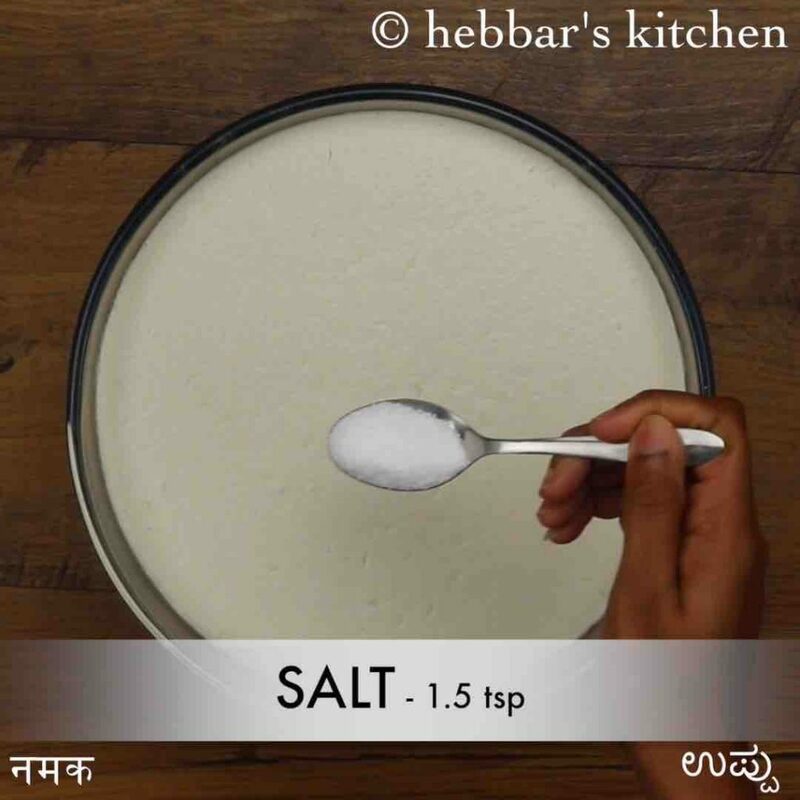 alternatively, use idli rice / sona masuri rice. in another bowl soak 1 cup urad dal for 3 hours. 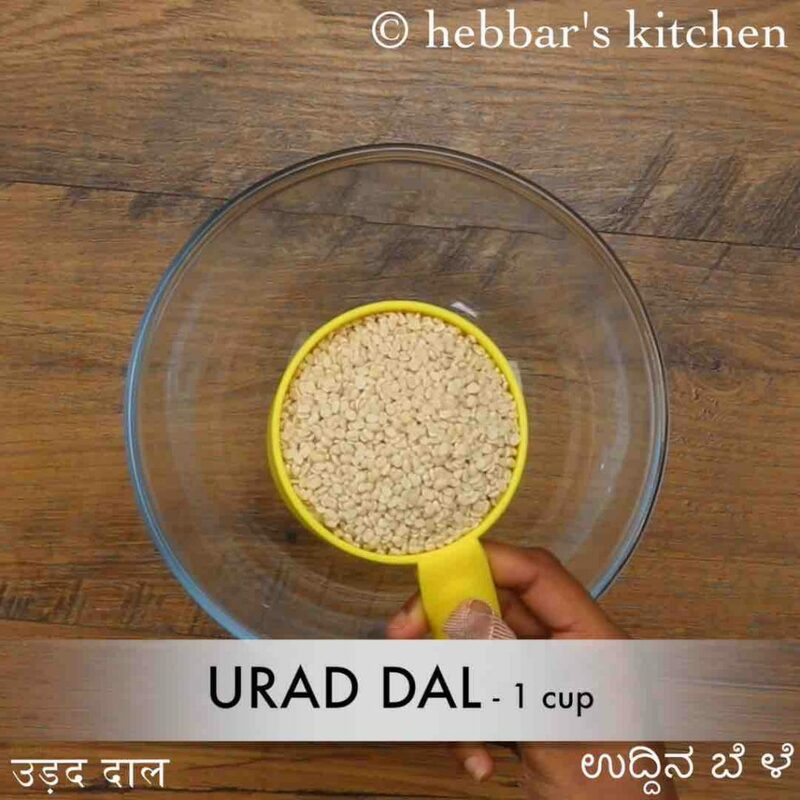 drain off the water from urad dal and blend to smooth paste adding water as required. in the blender take soaked rice draining off the water. bend to a slightly coarse paste adding water as required. 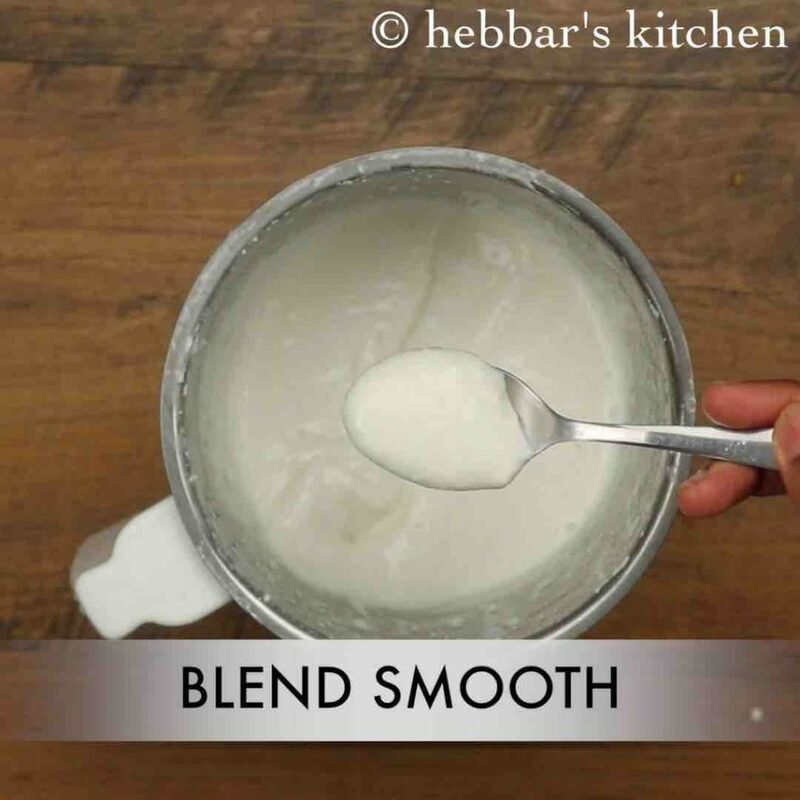 and blend to smooth paste. 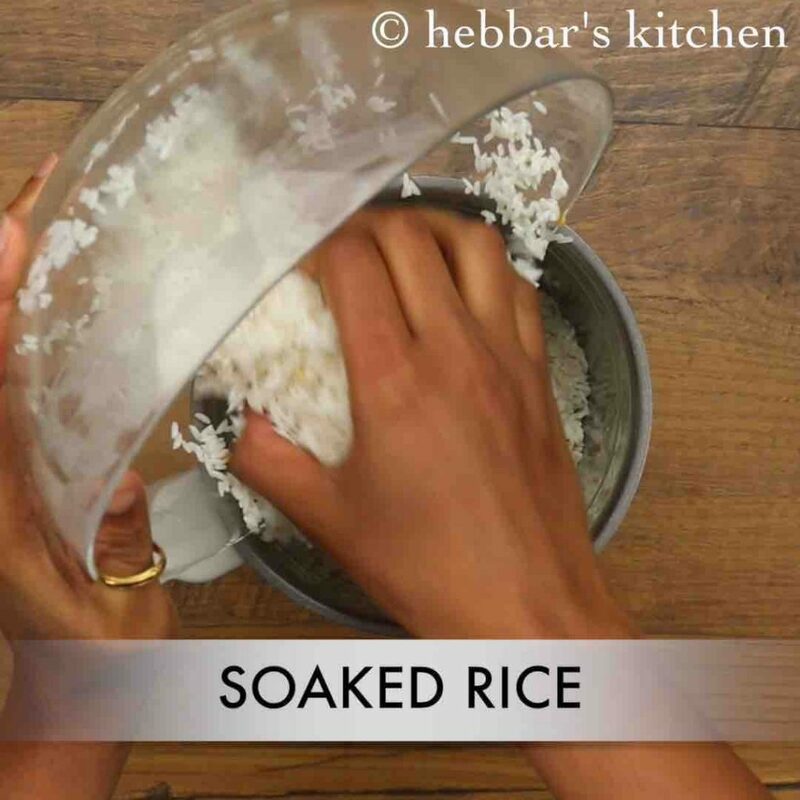 alternatively, use leftover rice or soaked sabudana. 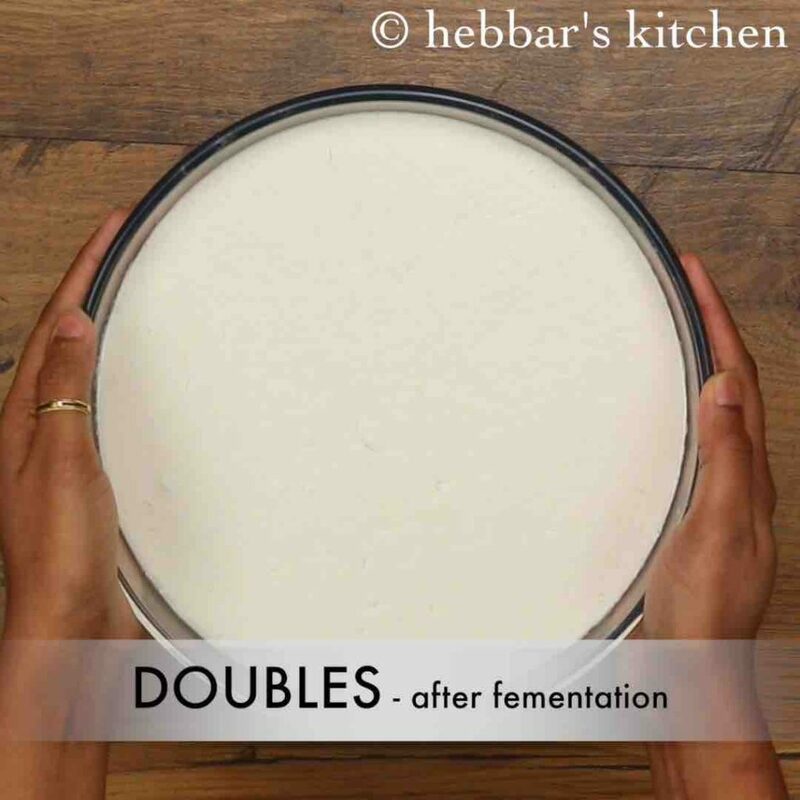 firstly, pour the dosa slightly thick for davengere style benne dose. 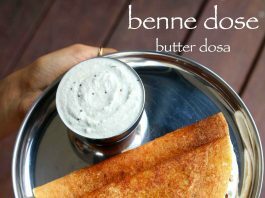 finally, benne dose / butter dosa tastes great when prepared with more butter.